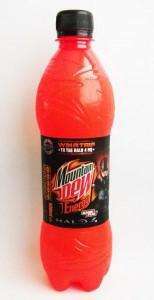 Mountain Dew Game Fuel 500ml - Half price £0.64 @ Tesco online and in-store. 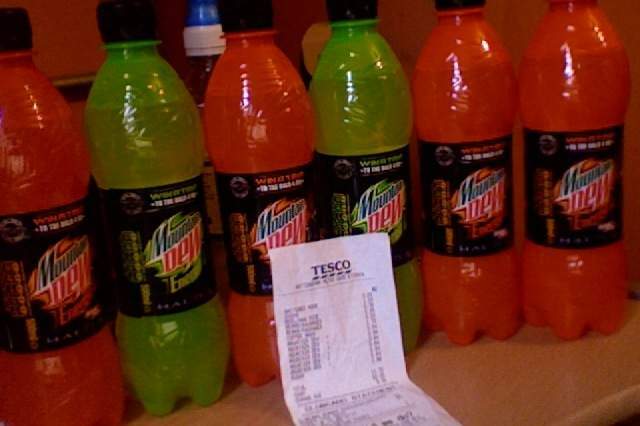 Mountain Dew Game Fuel (Raspberry) is now half price at Tesco both online and in-store. 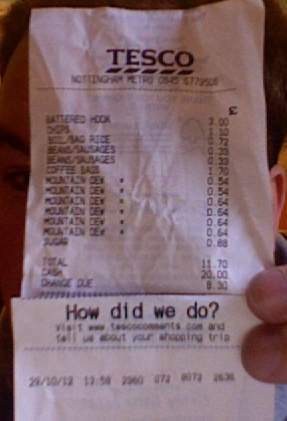 No problem man, I bought 4 myself. 1ltr bottle is bad value, just buy 2 of these. I got some earlier today, tastes alright, nothing amazing though and 1 500ml bottle contains 66% of your daily allowance for sugar. That is terrifying. Hot deal though. 1ltr bottle is bad value, just buy 2 of these. I got some earlier today, … 1ltr bottle is bad value, just buy 2 of these. I got some earlier today, tastes alright, nothing amazing though and 1 500ml bottle contains 66% of your daily allowance for sugar. That is terrifying. Hot deal though. It does taste quite good, but I do try to only drink 250ml in a day due to the sugar, and your right it is terrifying. Tastes like something you'd expect from panda pop! Is it nicer than the original one that we bought out here? Really didn't like that one. Is it nicer than the original one that we bought out here? Really didn't … Is it nicer than the original one that we bought out here? Really didn't like that one. Agreed, it doesn't even taste like real Game Fuel but still way better than that fraudulent MD Energy and is an okay drink for 64p. I get Syrian Mountain Dew from a local store which tastes fantastic. The Singaporean ones aren't too bad either. Ace just got 6 of the 1l bottles! Somebody posted this a few days ago and people voted cold, now a few days later and you get this! That doesn't make sense at all! Do these come with the codes that Mountain Dew is giving away to win Halo merchandise with? Considering I paid £2.50 for 2 of these in a WH Smith a few weeks back, this is hot. Both of the regular & game fuel 1ltr bottles are £1.50 each. Better value to buy the 500ml bottles really.